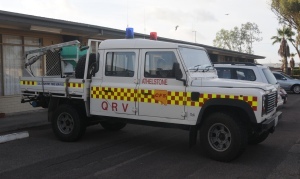 Athelstone QRV is a Landrover Defender based appliance. It carries around 400 litres of water. Athelstone QRV is fitted with additional radios, and can be used as a command vehicle, should it be required. This appliance is also fitted with a small crane, which enables it to be used as support for Water bombing operations. This appliance travels statewide to assist in support functions for Water bombing operations. Athelstone 34P is based on an Isuzu FTS750 Crew chassis, carries 3000 litres of water and is 4 wheel drive. It can be used in both rural and urban applications. It carries four breathing apparatus sets, Road Crash Rescue equipment, medical oxygen ad a Stokes Litter rescue stretcher. 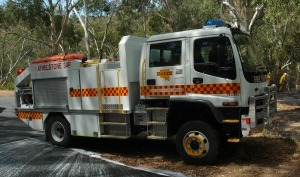 Athelstone Pumper was delivered to the brigade in September 2018. It is based on an Isuzu FTR150-260 Crew chassis (4 x2). It carries around 2500 Lites of water. This is an urban based appliance – designed for working in suburban areas. It carries 4 x breathing apparatus sets, PPV Fan, and a thermal imaging camera.